Engaged in the telecom ecosystem development, Media5 Corporation joins the selected group of five Unify technology and service partners sponsoring the “Distributor of the Year” category at UPC 2017 (#UPC2017), in Monte Carlo. 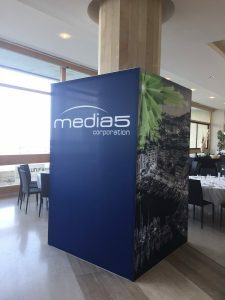 According to Sébastien Boyer, global sales director at Media5, the business relationship between both companies has been prominent for more than 15 years. “Unify is and was always asking for the best quality of products, support, and services, and I’m sure that our great success with Unify over the years is due to the fact that we are able to deliver the highest quality standard”, states Mr. Boyer. “Beyond our product reliability, with really low RMA, our support and engineer team have learned a lot working with such a good partner over the years. If we can say today that our support and service is one of our strengths, it is partially because of what we learned from Unify”, he concludes. Media5 solutions allow businesses to implement and manage reliable, robust, secure, cost-effective communications while also providing the most flexible, feature-rich, diverse, and up-to-date capabilities that can enhance and transform productivity and collaboration.